Why is there still the word “probably” in the report of the UK public inquiry into the death of former Russian FSB officer Aleksandr Litvinenko? Was the inquiry really public? Are we seeing an increased strain in UK-Russia relations? RT asked experts. 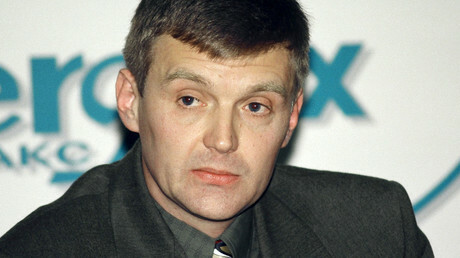 The UK has conducted a public inquiry into the death of the former Russian FSB officer Aleksandr Litvinenko. 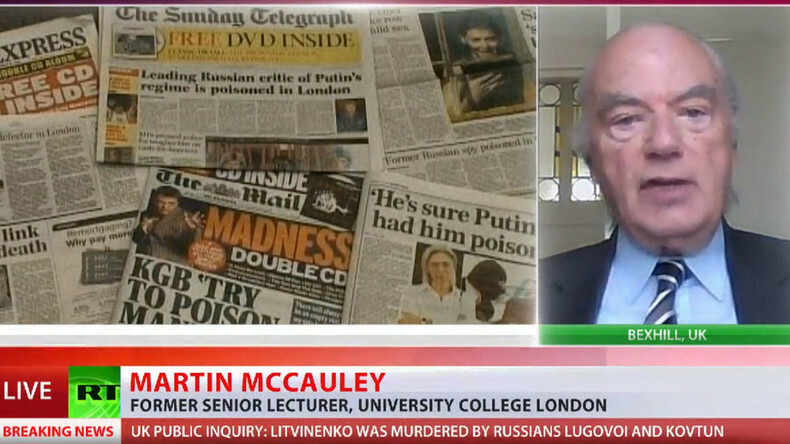 According to the report, Vladimir Putin and his administration ‘probably’ had motive to murder Litvinenko. British judge Robert Owen, who was leading the inquiry, claimed the poisoning of Litvinenko by former KGB members Andrey Lugovoy and Dmitry Kovtun was a part of the operation of the Federal Security Service (FSB.) 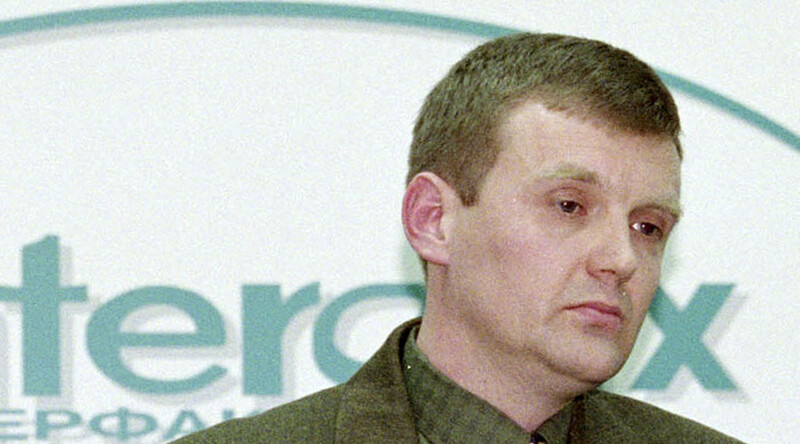 Litvinenko died in a London hospital from polonium poisoning in 2006. “This man was killed, was murdered in London almost 10 years ago. This latest report was set up in July 2014 – interestingly, just a couple of weeks after the MH17 disaster. So it was set up in this particular climate, this anti-Russia climate, and it has gone on now for 18 months. And what have they come up with - they’ve come up with a verdict that ‘probably’ this was the work of the Kremlin. 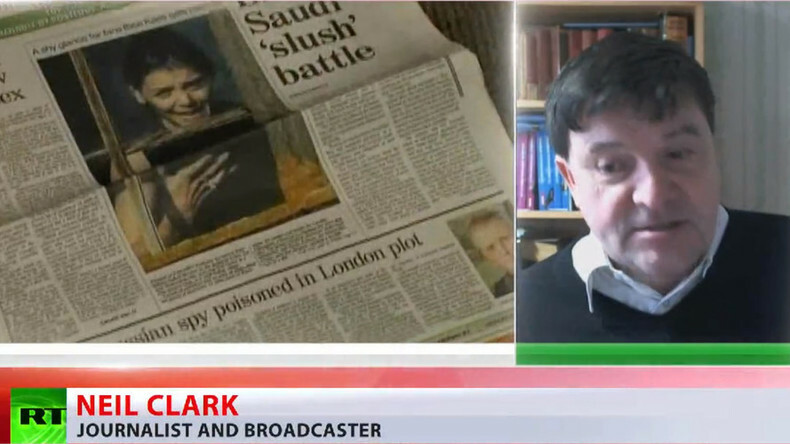 “Probably” - is not evidence,” Journalist and broadcaster Neil Clark told RT. “…If to look at the bigger picture, in 2006 relations between Britain and Russia were improving. So what logic would there have been in the Kremlin ordering this murder in a very public place in London? It doesn’t really make sense, does it? If you think about it from the Russian point of view, this man is a minor figure; he wasn’t as if he was going to stand for president and pose a real threat to Putin. The risk would have been very high and that is what makes me skeptical of the fact that the Kremlin was behind this, and there are other theories to explain this man’s murder,” Clark added. RT: Is the public inquiry really that public? And how different is it from a regular trial? William Dunkerley: First of all it is not a trail at all, this isn’t a judicial procedure, it is a public inquiry. The term ‘public inquiry’ is actually a misnomer, because the rules in the UK allow a public inquiry to be conducted behind closed doors. RT: The coroner's inquest into Litvinenko's death was suspended in July 2014 to start a public inquiry shortly after. What can you say about this timing? WD: The timing is interesting, the coroner’s inquest sort of came to an end when the Home Secretary told the coroner to stop conducting an illicit criminal investigation. The coroner is supposed to concentrate on judging the cause of death. Sir Robert [Owen] was not doing that, he wasn’t doing his job. The Home Secretary finally reined him in, told them to concentrate on his statutory duties and asked him to not go off on a witch-hunt for Russian culpability in the case. Then, things changed when Prime Minister [David] Cameron got involved. He put the whole issue back on the table, and turned [Sir Robert] Owen, now chairman of the public inquiry, loose on his search for Russian state culpability. And this coincidently happened on the day that the EU announced additional sanctions against Russia, in a sort of part of the sanctions frenzy that the public inquiry was opened. RT: It's been almost a decade since he died, why is the UK launching an investigation now? WD: The story was really confounded by misleading information right from the beginning. One of Putin’s political adversaries Boris Berezovsky, who was a fugitive oligarch hanging out or hiding out in London, made a lot of fabricated statements about the Litvinenko case, that incriminated the Russian state and in particular President Putin. RT: Isn’t the fact that that the inquiry was held behind the closed doors make the investigation more complicated? WD: Yes, it is a complication in the investigation that the public inquiry was able to hold hearings behind closed doors. Most of the media reports gave the impression that the public inquiries going to add transparency to the case, but actually the opposite was true. RT: Are we seeing the increase of strain in UK-Russia relations? …. People are conditioned to believe in the story that has been going on in the news. It is not based on facts and there have not been supportive evidence, but people have been exposed to this story for a long, long time now. The truth that I’ve found in my research is counterintuitive to people who have been following all of the Western news reports.